Experience the magic of Andalusia, Spain! This training is held on a beautiful Andalusian style Eco-Farm. The property is situated on the edge of the Sierra Nevada National Park and where you can enjoy a variety of local fauna and flora. At 1250 meters above sea level, this Centre offers the best of fresh clean mountain air and the southern Spanish summer sun. This Eco-Farm has been adapted as a retreat centre with traditional Spanish accommodation, a natural mineral water swimming pool and two Yoga Shala’s; one indoor and one outdoor. The main Yoga Room is spacious and has a broad view of the surrounding mountains. The accommodation rooms are simple, clean and comfortable, appointed in the same manner found in Ashram style living, and there are single and shared rooms available. In our trainings diet plays a fundamental role. All our meals are vegan/vegetarian and 80% of the ingredients are organic. Most of the vegetables are comming directly from the eco-farm we are staying and all the meals are prepared by a qualified macrobiotic chef. We have a module on nutrition in the course and you´ll learn the principles behind our food preparation. 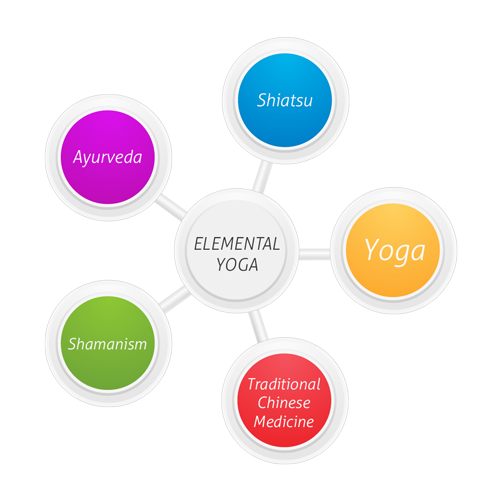 Elemental Yoga is a unique system of yoga that integrates the wisdom of Ayurveda, Traditional Chinese Medicine, Shiatsu, Shamanism and Yoga into a holistic lifestyle practice both on and off the mat. This system of yoga aims to bring union to your body and mind. Based on our elemental energies (Earth, Water, Fire, Wind, Space), any diseases or imbalances are a result of disharmony to the 5-elements. In this video series, we have created short yoga sequences to bring harmony to each of the 5-elements, by designing a flow of postures to move energy along the elemental meridian pathways. Whether you are looking to simply learn yoga / improve strength and flexibility / or to therapeutically address elemental imbalances, these sequences are open to all (beginners and seasoned practitioners). 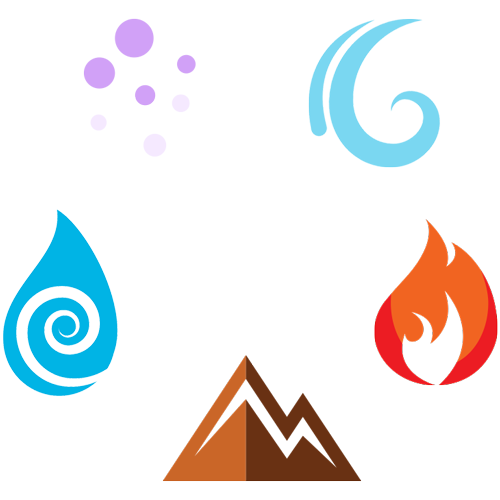 In this video series, we have created short yoga sequences to bring harmony to each of the 5-elements, by designing a flow of postures to move energy along the elemental meridian pathways..
We hope you will enjoy practicing this series and experience the benefits of elemental yoga! This yoga series has been designed by Amber Sawyer, Certified Yoga Teacher and Elemental Yoga Therapist.